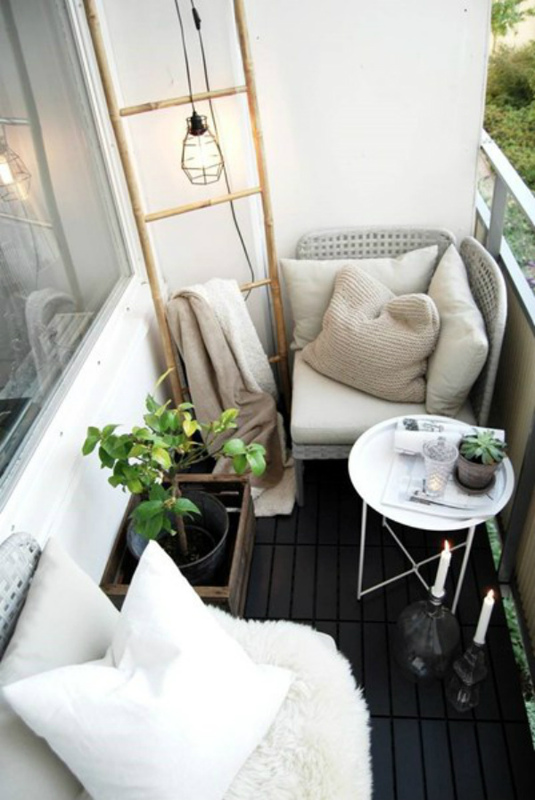 With careful arranging of furniture pieces a small balcony becomes a cosy outdoor living room. For decoration add some plants, cushions, throws and some candles. 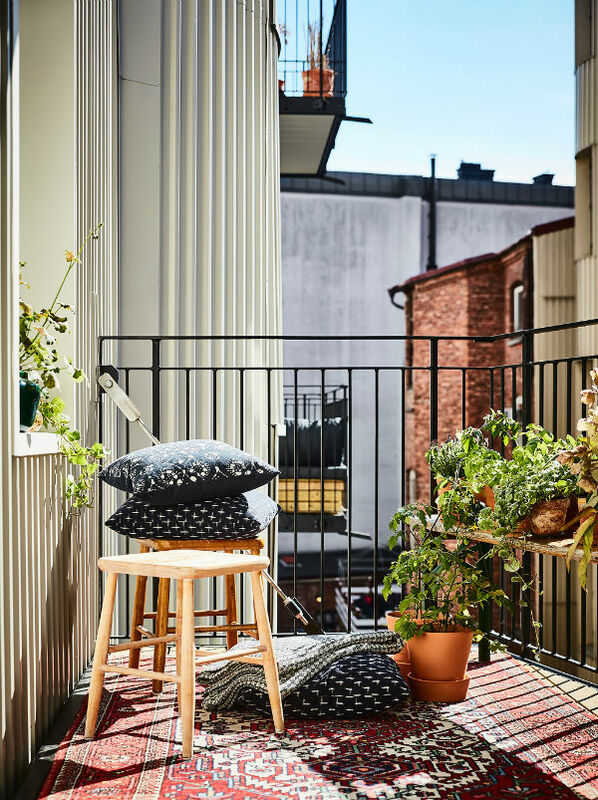 A ladder helps makes the most of vertical space by providing space to hang a light and place to drape a blanket for when the evening gets cool. In addition, you could also use this versatile piece as a magazine rack or to suspend plants from. Use existing features on a patio to their best advantage. A plain stone wall takes on a whole new character when you place plants and candles on it. 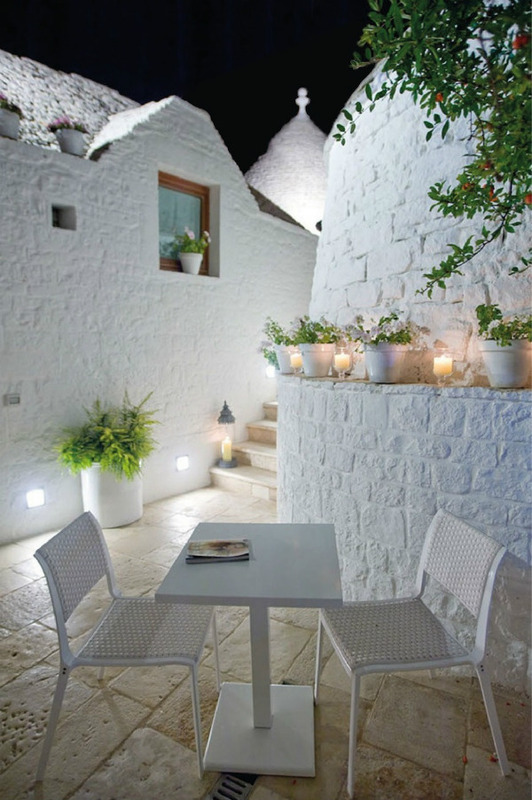 Then all you need is simple table, two chairs and you have a romantic setting for a candlelit dinner. With imagination, even a thin slither of space can become a striking garden. Make a seating area along the length of the wall, cover with cushions and you have a comfortable place to relax. 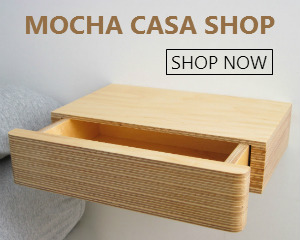 With a lifting lid, it can even double up for a storage . 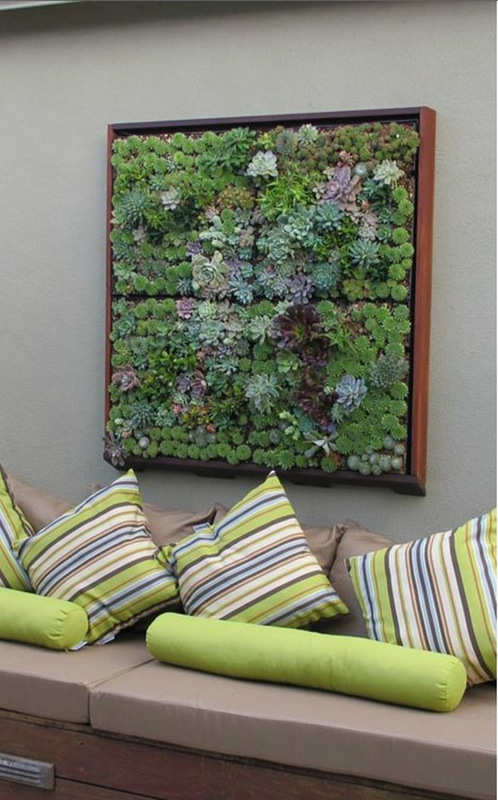 Another way to make a vertical garden is by fixing planters to a wall or garden fence. And don’t underestimate the difference bit of colour can make. 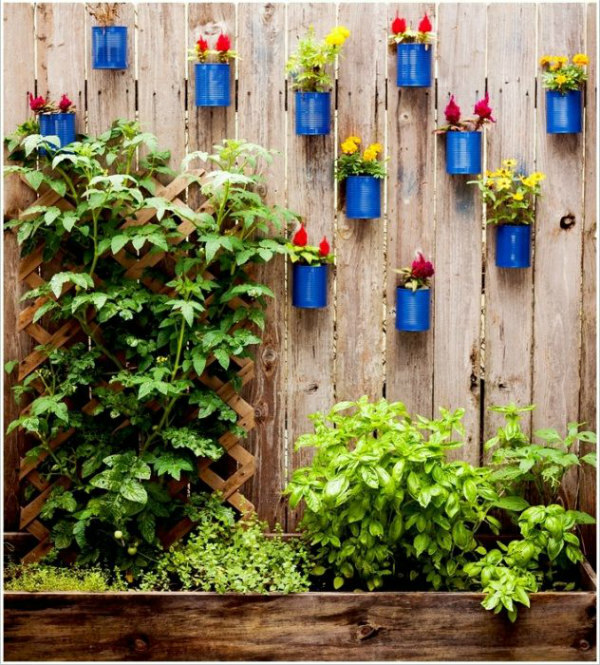 These tin cans painted bright blue and filled with flowering plants add such vibrancy to this narrow plant area and gives it quite a Spanish feel. It’s also something you could also do yourself quite easily – and cheaply. 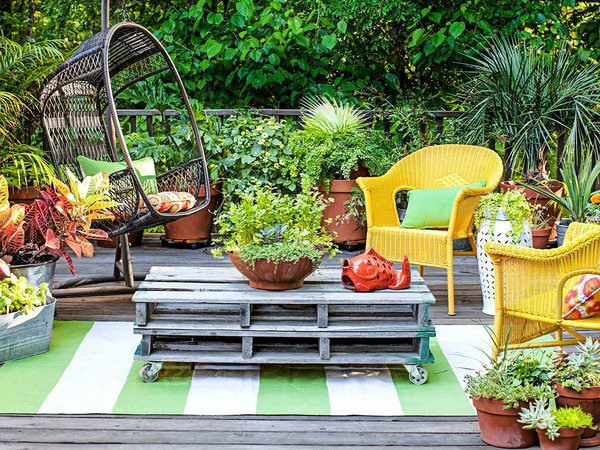 If you want a small garden to appear bigger, take this interior decoration trick outside. 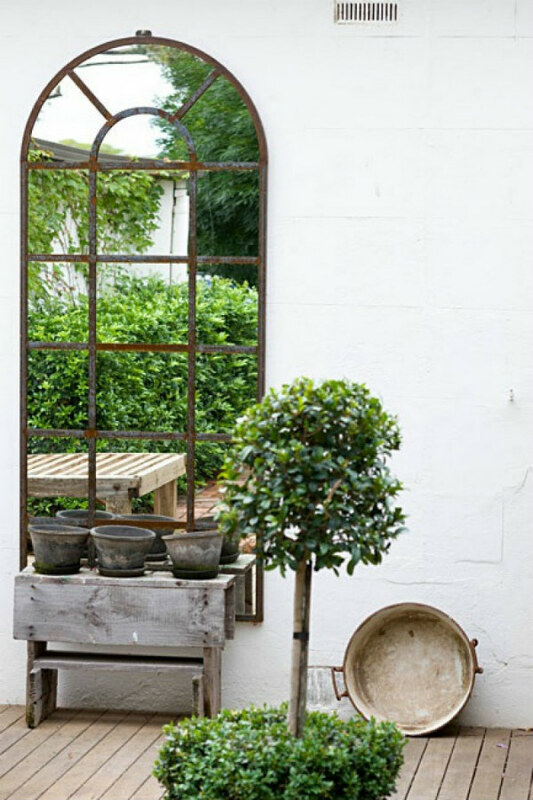 Hang a mirror on the wall and it will make your little outdoor space appear twice as big! Although it may sound counter-intuitive, dense planting can also make your space appear bigger. It creates depth, so you aren’t able to tell how far back the garden goes. It also makes your garden look lush, and will give you privacy. 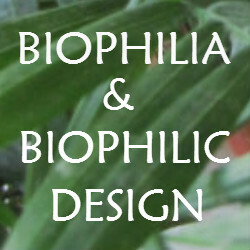 Use elements of biophilic design to bring the outside in. 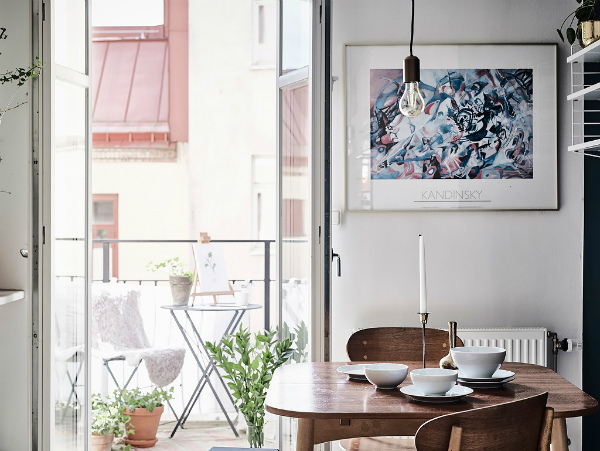 Plants in line of sight of the window help make this little balcony feel like an extension of the living room. 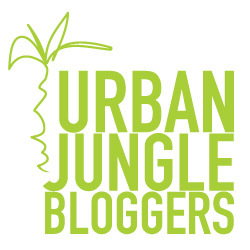 And it also adds some greenery to the urban view. 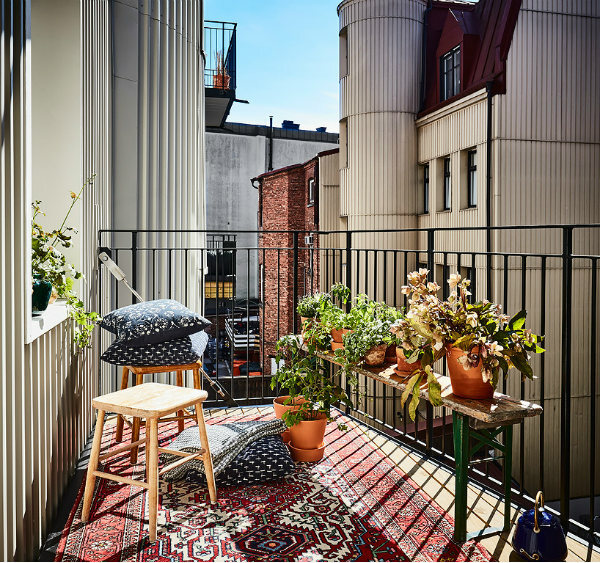 Likewise, the balcony is made to look like a real outdoor living room by accessorising with rugs throws and cushions. 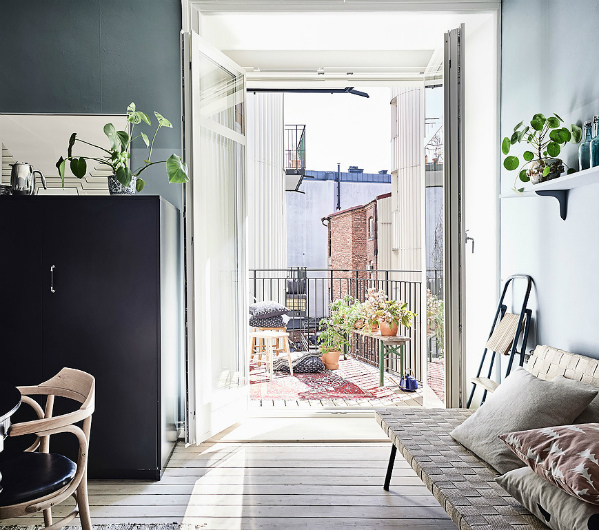 Here again you can see a biophilic indoor outdoor space where the boundaries have been blurred between the two by using similar elements. A vase filled with leaves placed where the two spaces meet helps merge into one. 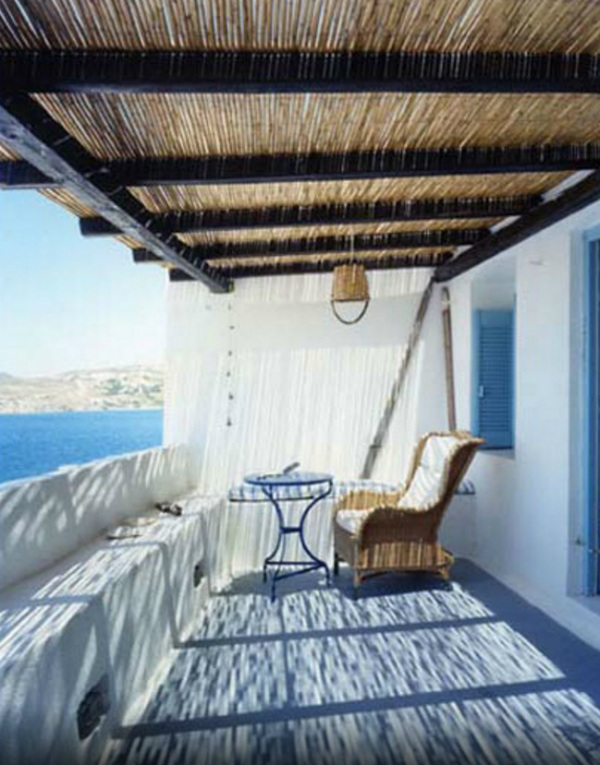 While simple white sheets around the railing, make the balcony feel more enclosed and echo the white walls of the kitchen it leads off from. 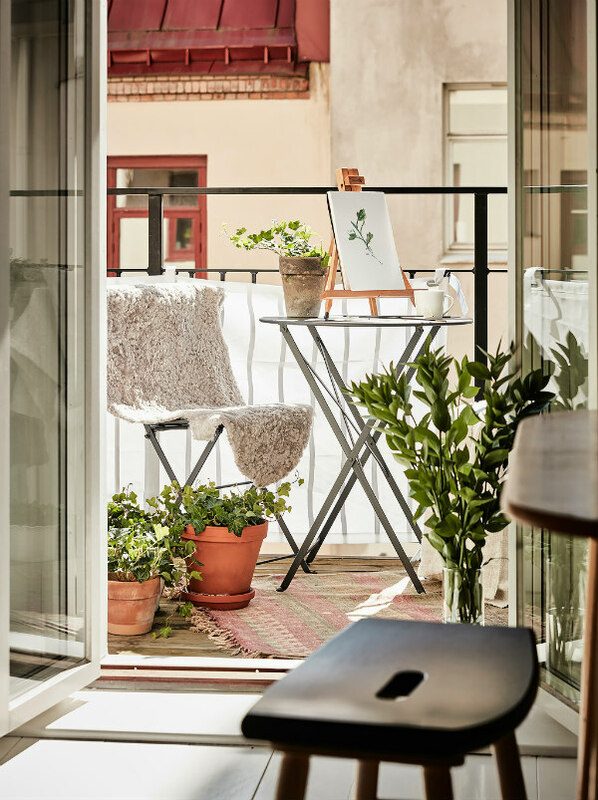 While if you happen to overlook a good view, like this – what else do you you need but a comfy chair to sit and enjoy it, and a small table to hold your cool drink or book? PS: You might also like these outdoor living rooms.